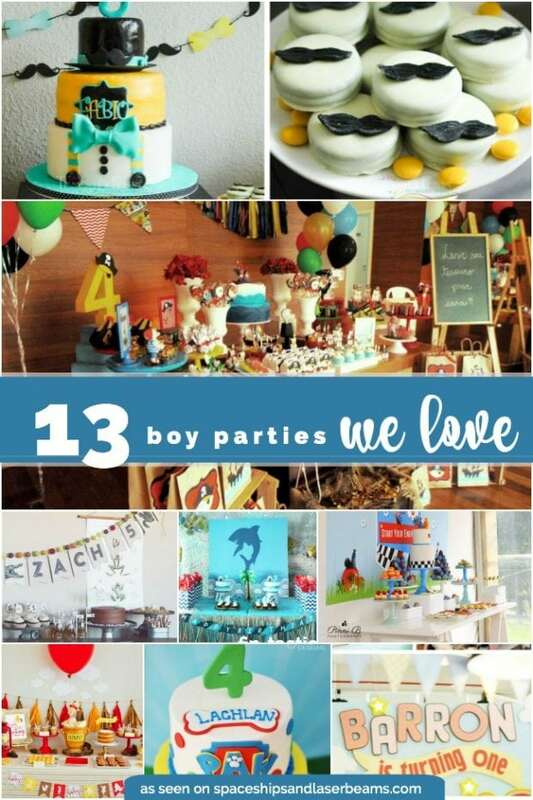 Just because it’s almost Christmas doesn’t mean there aren’t any new boy birthday party ideas! In addition to frogs, this week you will find crocodiles, snails and puppy dog tales. 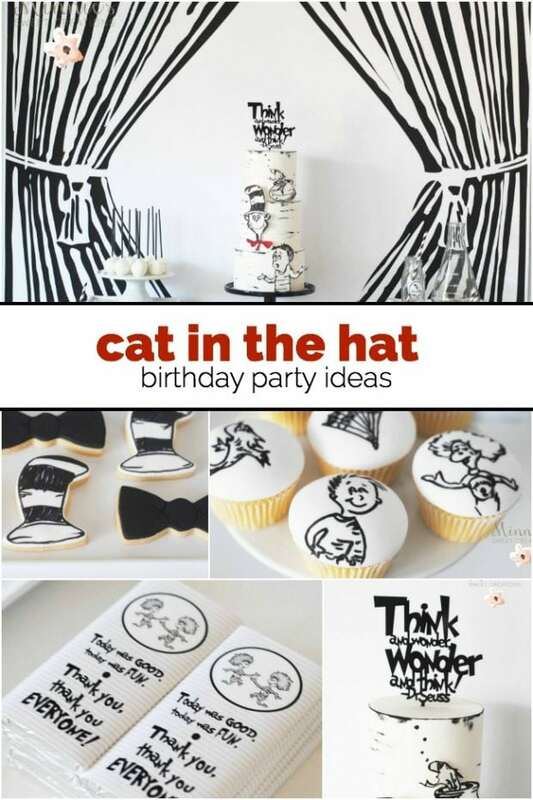 And that’s not all—childhood favorites Winnie the Pooh, Jake and the Neverland Pirates, and Cat in the Hat are joined by a little man themed party, lumberjacks, a woodland camping theme, bubbles, sharks and an airplane. 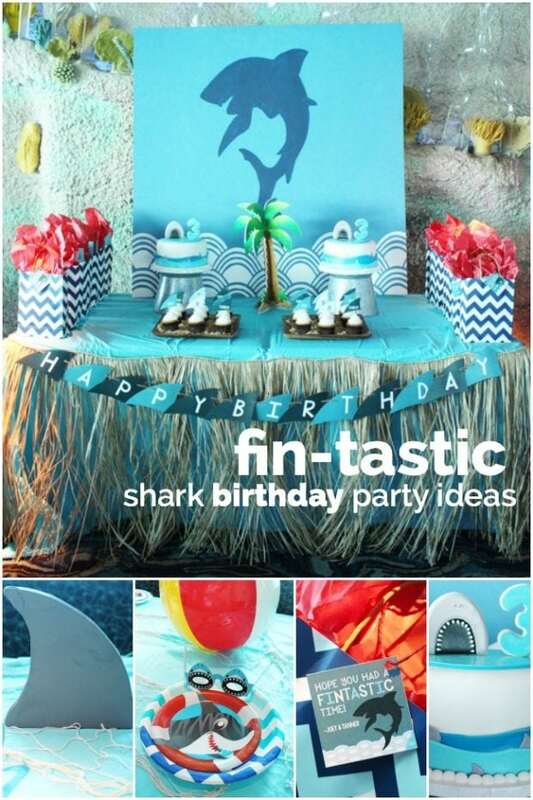 This list of birthday party themes contains all sorts of delightful decorations, dessert tables and birthday cakes just waiting to inspire you! 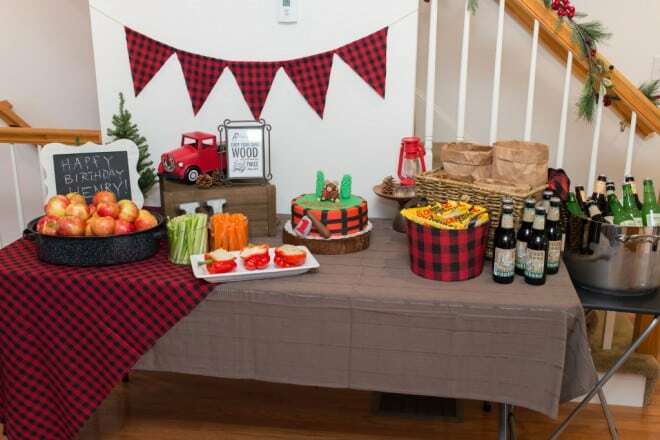 Get inspired with these PAW Patrol Birthday Party Ideas! 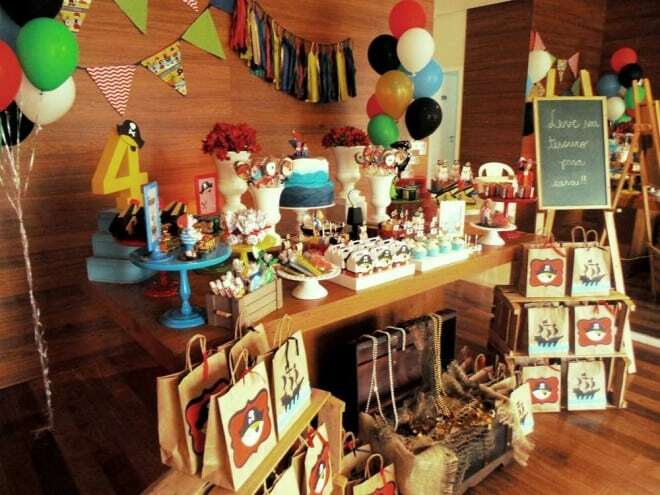 Check out these 10 Real Parties for Boys and be inspired for your own celebration! 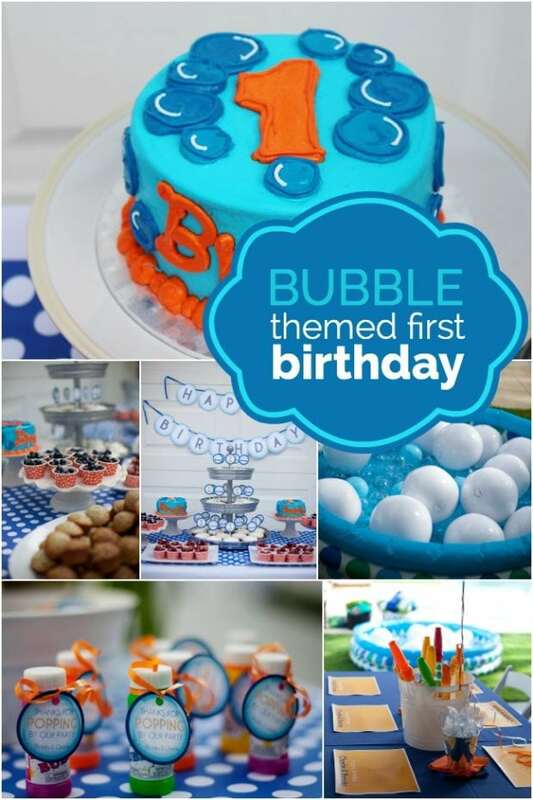 I’m loving these Boy Birthday Party Themes — which is your favorite? I haven’t seen a good mustache party in a while and this one caught my attention for sure. They had me at the bowler hats for guests. 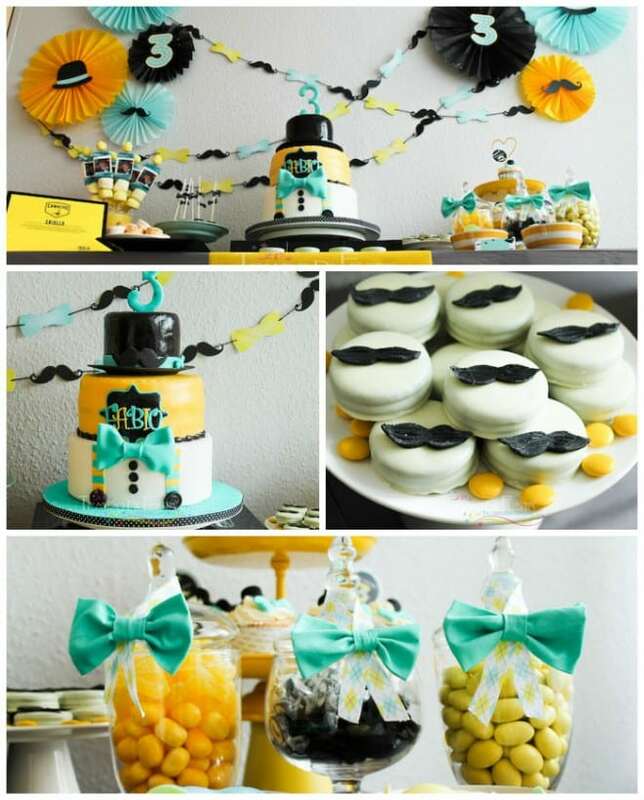 Cheerful yellow and aqua décor and desserts look great. The cake…takes the cake! 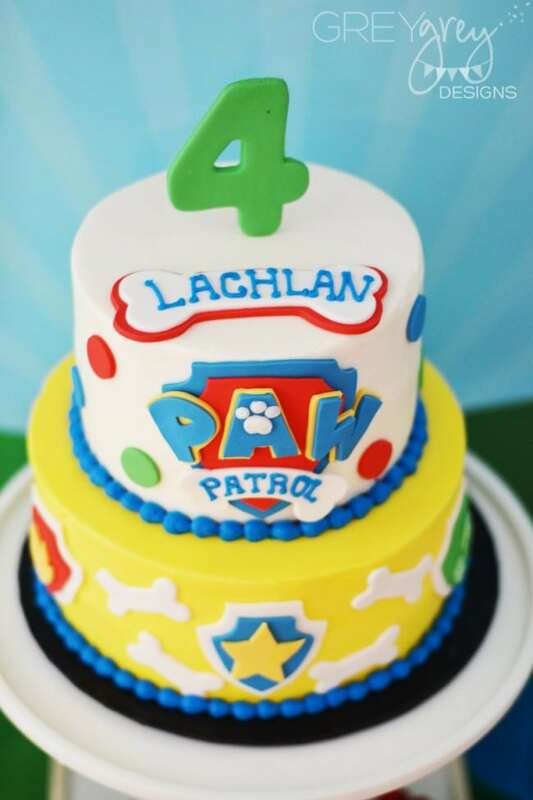 If your little fellow is a Paw Patrol fan, he’ll love this party. You’ll love it because of the adorable bone shaped sippy cups, bone garland, and the white chocolate and peanut butter dog bone truffles. Aw, who doesn’t love Pooh bear? 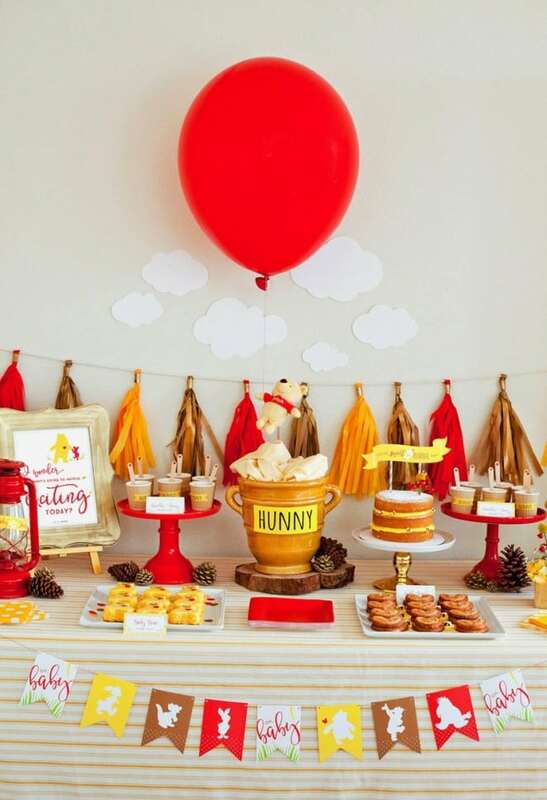 This sweet-as-hunny baby shower references the popular A.A. Milne characters and story line that we’re all familiar with, but with a fresh attitude. Red, yellow and tan are eye openers full of good cheer! 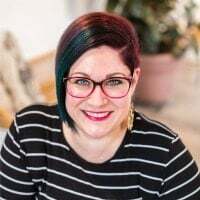 Jenn fills this party set-up with many, many fun details. Want something original? How about using a snail as a party theme? Turbo starts your party engine but The Iced Biscuit keeps it running with modern good looks and uniquely handsome treats. 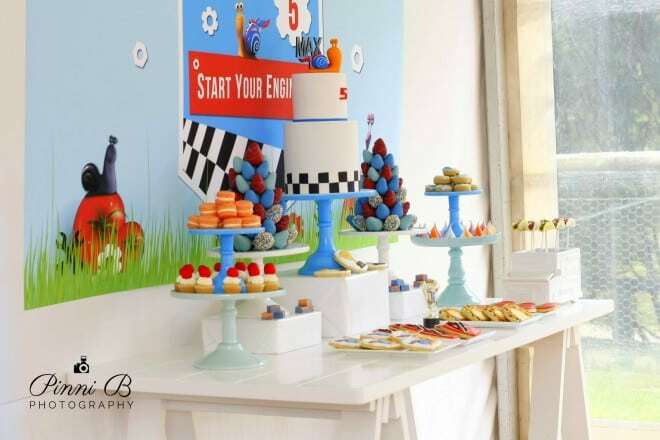 The fabulous backdrop would have any little one entranced! Notice how the birthday cake repeats many of the same elements. 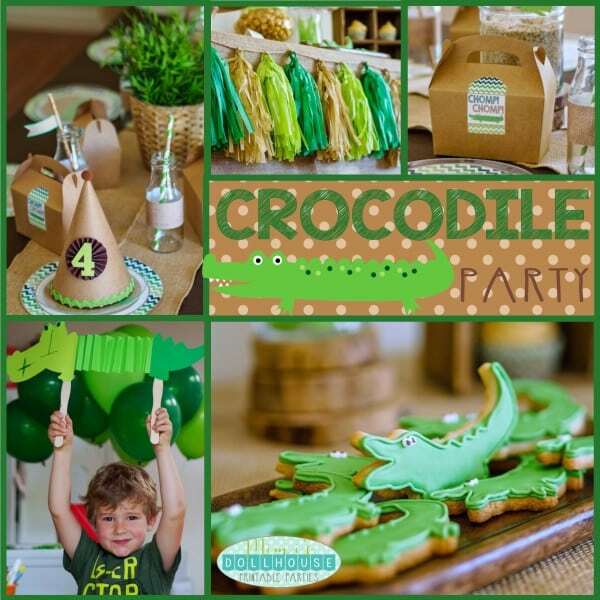 Always smile when you see a crocodile party as cute as this! Shades of green and tan look their rustic best at the dessert table. The crocodile string art and tissue tassel garlands are awesome additions. A birthday boy and his guests wouldn’t have to dig too deep to find treasured treats on this dessert table! 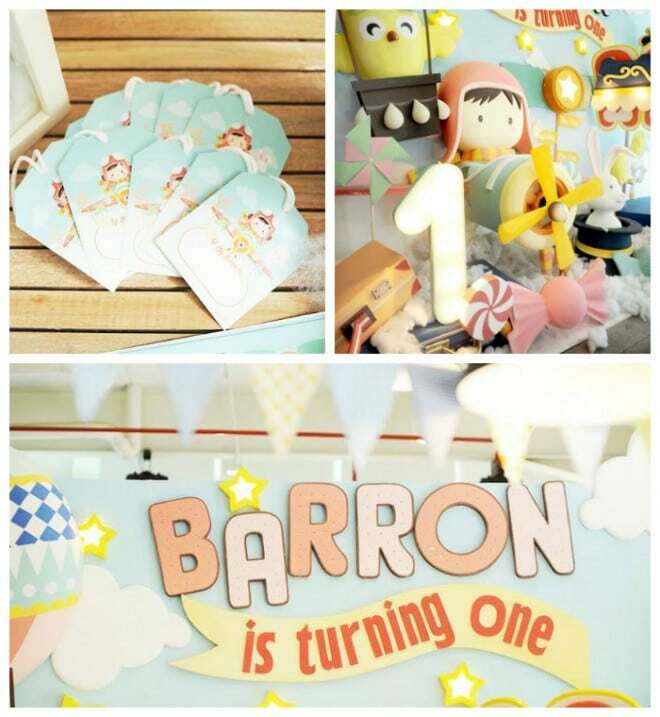 Banners, garlands and balloons cap the party with colorful décor. Although little lumberjacks would like it anytime, red and black buffalo plaid seems especially appropriate for this time of year. Good food for healthy appetites, sprigs of forest greenery and facial hair for all the guests make this one fun. You know you’re in for a good time when bubbles are invited to a party! This outdoor celebration is filled with cheery aqua blue and orange and lots of great outdoor activities. A camping party doesn’t have to be all rough and tumble to be perfect for a little guy. 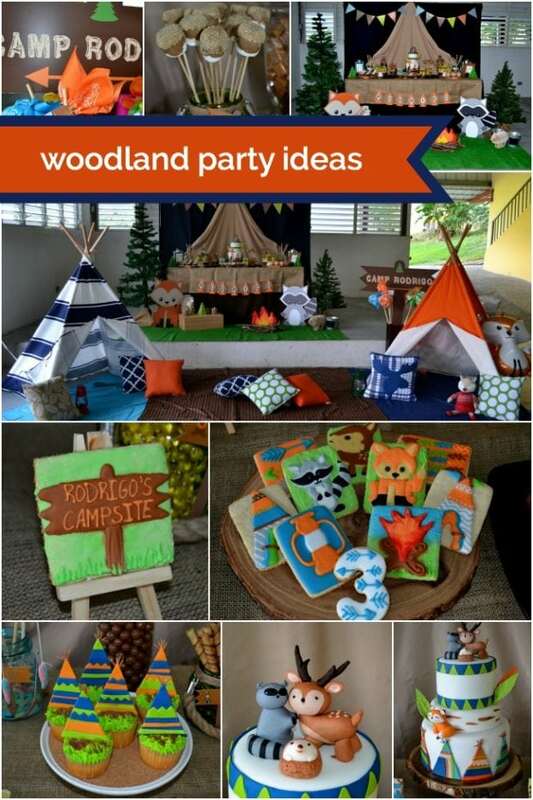 Carol’s version has the tents, winsome woodland characters and even a faux fire that would please a birthday boy and his mom. Contemporary black and white pull back the curtain on a way cool party table! An impressive triple-layered cake, detailed cupcakes and themed cookies really please! 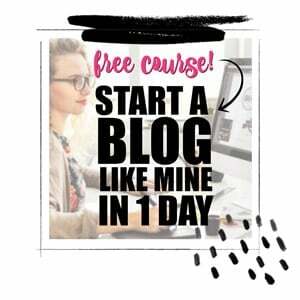 An off-site location didn’t keep Julie from putting a stylish party together in jig time. The pair of darling cakes would keep twins happy and guests anticipating lots of good eating! The guest table settings are some of my favorite details. 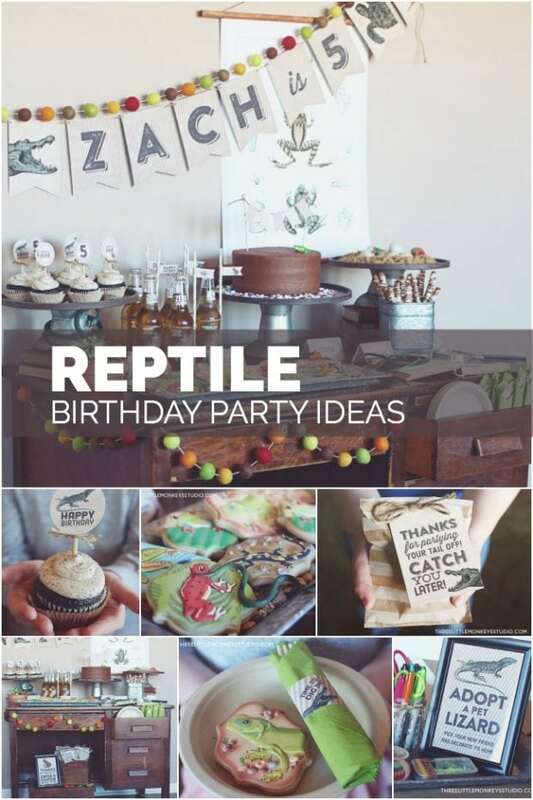 Creepy-crawlies might not be your favorite theme idea but boys love it. Gretchen gave this party a scholarly vibe with a faux pull-down chart, a vintage wood desk and handsome printables. BUILD A SNOWMAN :: It doesn’t matter if there’s no snow outside. Build your own 3-D snow buddy indoors. Cute! NEW YEAR’S EVE COLORING SHEET :: Count down the hours with your little ones with colorful “fireworks”. FELT BOARD MR. POTATO HEAD :: I think this is a great idea for the younger set. 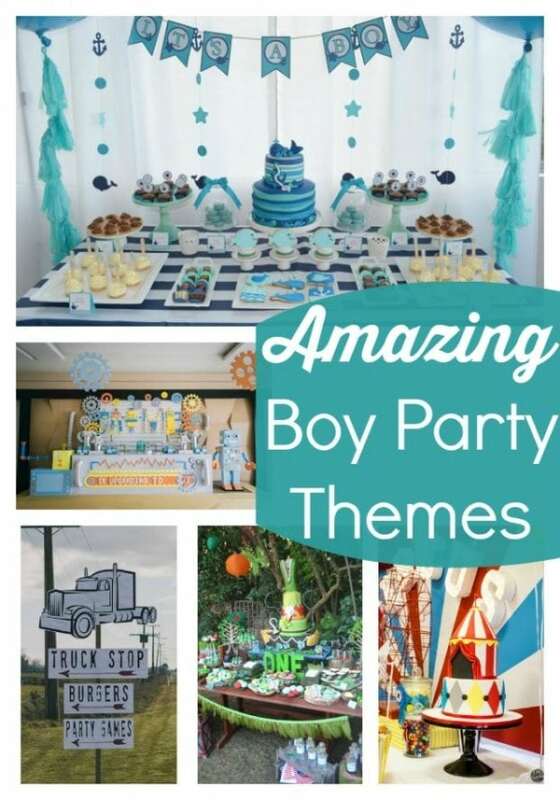 Take a look at these Amazing Boy Party Themes!